Create, read, edit, and view Excel files with just few lines of code. Top features—charts, formulas, tables, pivot tables, data validation, data import and export, conditional formatting, shapes, and security. Convert Excel files into ODS, HTML, and images. A high-performance and feature-rich .NET Core Excel framework to work with Microsoft Excel documents. This framework has Excel creation and editing library that allows you to create, read, and edit Microsoft Excel files in any .NET application. It offers Excel-inspired Spreadsheet UI controls to create, edit, view, and format Excel documents. 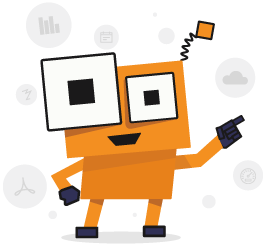 Its powerful conversion APIs make it easy to convert Excel files to HTML, image, and more. There are no distribution fees, per-server licensing fees, or royalties, which makes Excel XlsIO very cost-effective. Optimized for usage in a server environment where, speed and low memory usage is critical. All the elements in a typical Excel document such as text, formatting, images, shapes, and tables are accessible through a comprehensive set of APIs. Syncfusion Excel library (Essential XlsIO) is a well -matured and also a proven product, having evolved for over 13+ years. Syncfusion Excel library comes with extensive documentation, knowledge base, and samples. Use a single API across all platforms. Syncfusion Excel library (Essential XlsIO) is a high-performance .NET Core Excel library that allows users to create, read, edit, and protect Excel documents in .NET Core applications without Microsoft Office or interop dependencies. Import data from various data sources and collections. Also, export data to data tables, collections and JSON objects. Supports 80+ charts to visualize the data. Similarly, sparklines are supported to visualize data within a cell. More than 400+ Excel functions are supported to quickly evaluate formula cells. Similarly, add-in functions, external formulas, and an array of formulas are supported. Import data to Excel worksheets like Mail merge in a Word document. Customized data importing is also supported. Supports various cell and text formatting options along with advanced conditional formatting features. Perform various kinds of data processing such as data validation, sorting, and filtering. Pivot tables and pivot charts are widely used features in the Spreadsheet control due to their ease-of-use in summarizing data. Syncfusion XlsIO allows you to create and edit them with a few lines of code. Encrypt or decrypt password-protected Excel files. Also, protect the editing of workbooks, worksheets, and cells. Create and edit various form controls, autoshapes, and comments. For more information, check out our .NET Core Excel Library features. including editing, formulas, charting, importing, and exporting are supported. Open and save large Excel files in less time with minimal memory consumption. Experience smooth scrolling even with many cells in a view. Import and edit existing Excel files in the Spreadsheet control. Spreadsheets can be exported to XLS, XLSX, CSV, and PDF file formats. Spreadsheet supports charts and sparklines. Visualize data in an easy way. More than 400 Excel-compatible functions are supported, such as cross-sheet references, named ranges, table formulas, and formulas. The Spreadsheet control provides a variety of text and number formatting options along with conditional formatting to improve the appearance and effectiveness of any spreadsheet. The Spreadsheet control supports on-demand data loading when bound to data sources. It improves initial loading time by requesting only the visible data from the data source. For more information, check out our ASP.NET Core Spreadsheet Control features. Convert an Excel workbook or worksheet to PDF format. Various customization options are provided, like embedding fonts, ignoring empty pages or worksheets, showing or hiding headers, and footers. Worksheets can be converted to BMP, JPEG, PNG and other image formats, with content such as data, formatting, charts, tables, and shapes. Convert Spreadsheet data to CSV and TSV formats with their widely used, lightweight reports. Dynamically render an Excel workbook or worksheet as an HTML file. Save Excel files in ODS formats to use in various applications like OpenOffice and Google Sheets. SpreadsheetML is easy to work with and designed to be human-readable and editable. Convert Excel files to SpreadsheetML with Syncfusion XlsIO. The XlsIO library provides a thorough programming model. I can create data rich, good-looking reports delivered to Excel in a fast, easy way, completely managed in .NET.